Bay Realty Blog: Happy New Year 2019!! 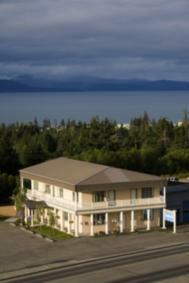 Bay Realty Homer Alaska News Ad! Happy New Year Debra Leisek! I love how you describe your area. It sounds so inviting, beautiful, educational, photogenic, exciting, and relaxing too! Do you get to see the Northern Lights? I wasn't on AR for the holiday but wanted to wish you the everlasting spirit of Christmas with good health, peace, happiness, and prosperity. OH, I love your New Year's ad, Debra! Do you also send this out as a postcard? What a great way to start the year - I'm still working on mine and this year is soon coming to an end. I need to wrap the design up tomorrow! Thank you Patricia Feager, MBA, CRS, GRI,MRP I was wondering where you were for the holidays! I wish you all the very best too!!! We did have nothern lights just last night! beautiful! Hello Debe Maxwell, CRS Thank you! I just have this as an ad but that is a good idea!! Yes it is almost 2019! Happy New Year! All the best to you ad Yours Endre Barath, Jr. Happy Healthy and Prosperous New Year to you too! Good morning Debra. I hope this ad will bring you lots of business in 2019. Thank you very much Barbara Todaro High compliment coming from you! Happy New Year to You too! Hey Gabe Sanders thank you so much! Happy New Year!!! I just finished a book that you might enjoy. The Great Alone by Kristin Hannah. I will post a blog about it. Much of the story takes place in your area. Thank you for thinking of me Roy Kelley I will read your post!! Hello Eva Erdmann Happy New Year to you in Holiday Florida!!! Happy New Year to you too - and hoping this year will be filled with all good things for you! !